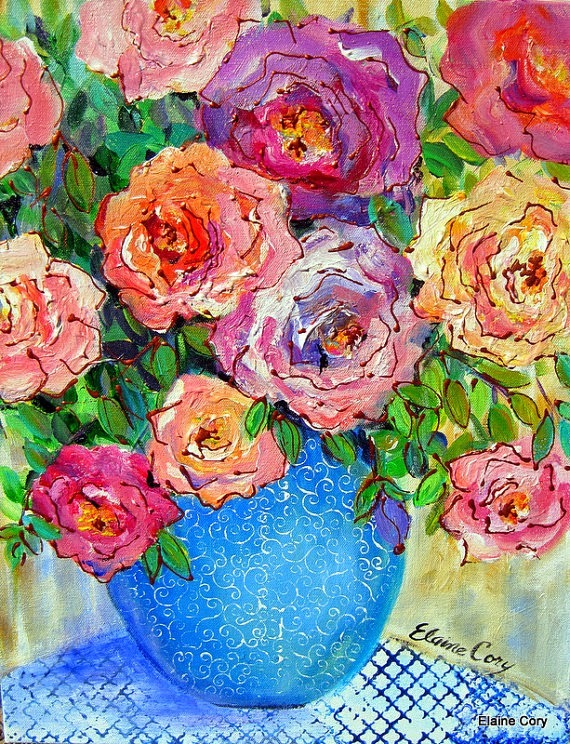 I love Elaine Cory's beautiful floral paintings. 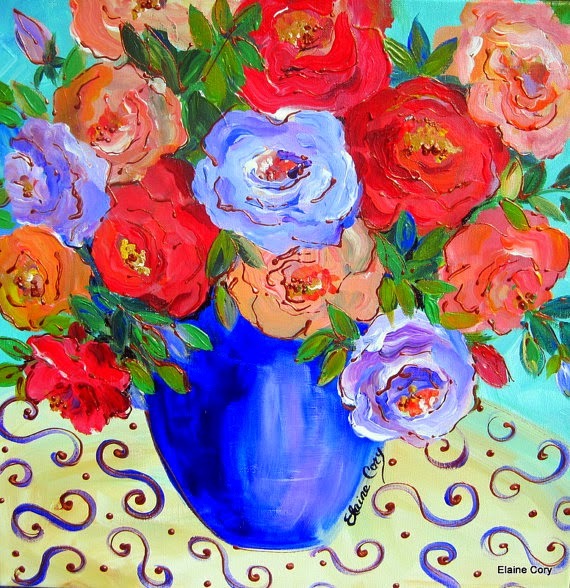 The vibrant colors and layers of texture add wonderful depth to each one. 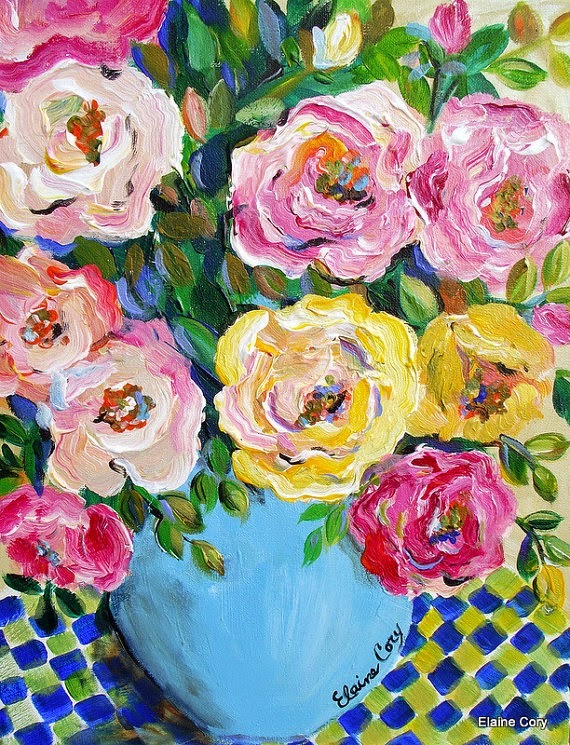 They would be a cheery addition to any room! 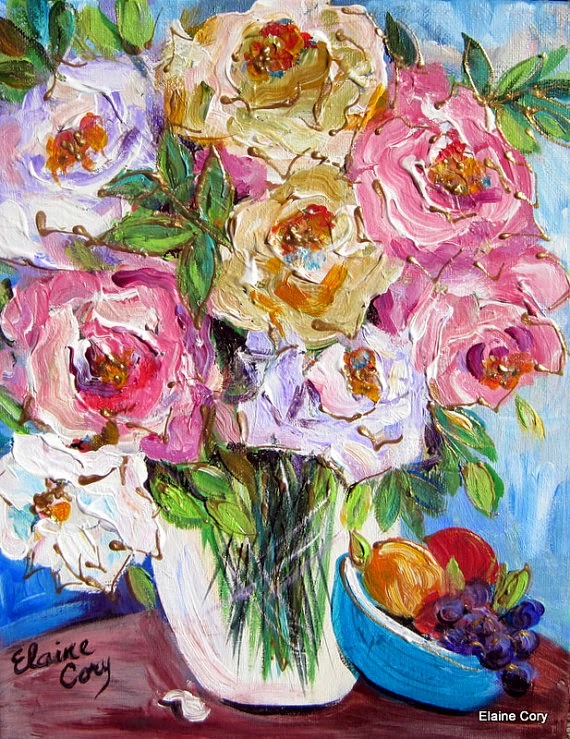 Elaine has a shop on Etsy called Elaine's Heart Song where she sells her paintings in a variety of sizes. She also accepts commissioned work. 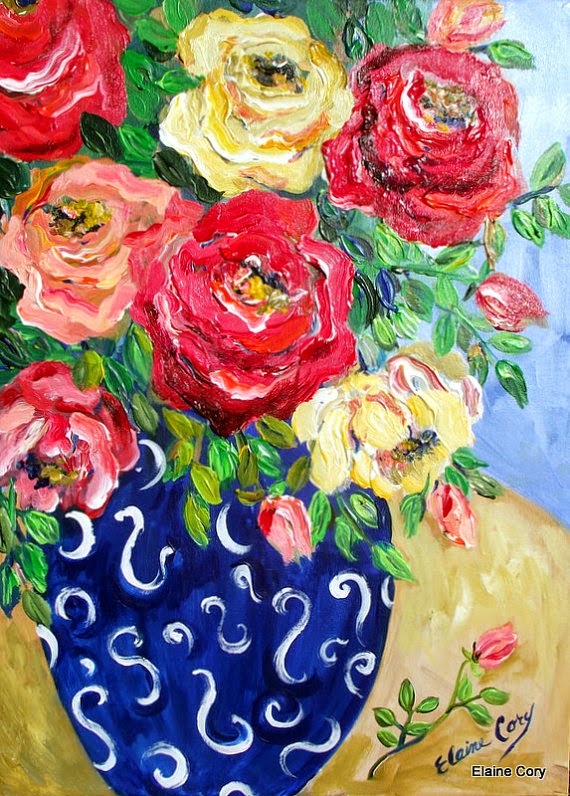 Be sure to visit her Etsy shop to see her many more wonderful works of art! Thank you for inspiring me today Elaine!